Four amazing events--attend them all! Fordham's English Department is sponsoring four fabulous events in the next nine days--attend them all! Wednesday April 11, 5pm, in Keating First (RH), Haben Girma will present the first Fordham Distinguished Lecture on Disability: "Disability & Innovation: The Universal Benefits of Inclusion." 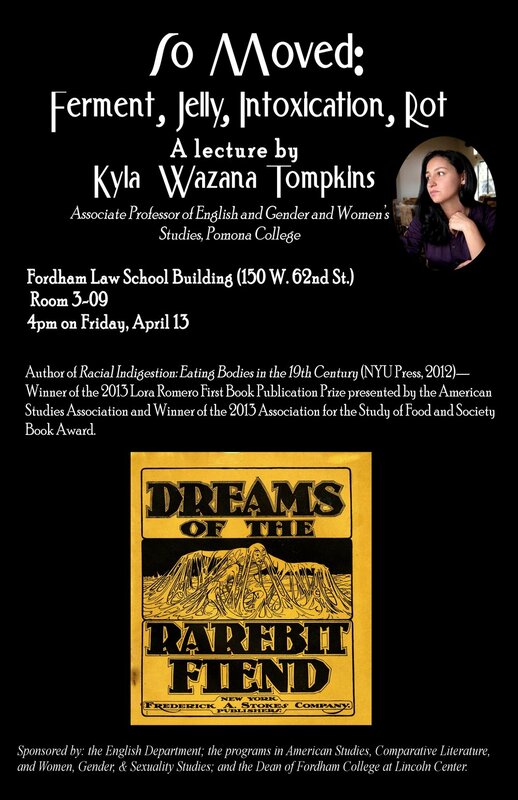 Friday April 13, 4pm, in Law School Room 3-09 (LC), Kyla Wazana Tompkins will present a lecture titled "So Moved: Ferment, Jelly, Intoxication, Rot." 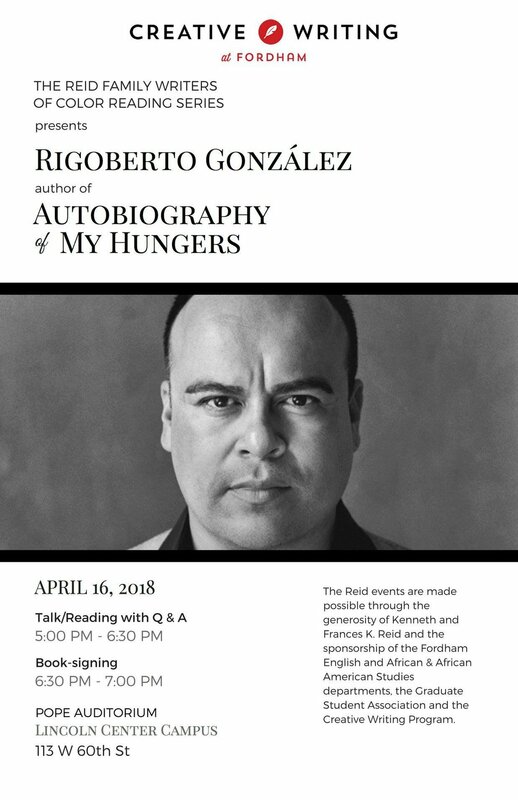 Monday, April 16, 5pm, in Pope Auditorium (LC), the Reid Family Writers of Color Reading Series presents Rigoberto González, author of Autobiography of My Hungers. Thursday, April 19, 5:30pm, in Law School Room 1-01, Rebecca Wanzo will give a talk titled "Black Panther: 'Post'-Civil-Rights Hero in Revolutionary Times." Haben Girma to speak on "Disability & Innovation: The Universal Benefits of Inclusion"
Haben Girma will speak on "Disability & Innovation: The Universal Benefits of Inclusion" on Wednesday, April 11, 5-6pm, at Fordham University's Rose Hill Campus (Keating First). You can also attend at the Lincoln Center campus, in Lowenstein 708. Please RSVP.